MARQUETTE, MI – Ediltrude F. “Trudy” Damberg, age 92, of Marquette, entered eternal life Tuesday, August 14, 2018, at the Norlite Nursing Center, in the loving care of her family. Born July 3, 1926, in Iron River, the daughter of Frank and Helena (McKay) Fedrizzi, Ediltrude was raised in Iron River and graduated from Iron River High School, Class of 1944. On June 19, 1948, Ediltrude was united in marriage to Willard Damberg. They were fortunate to spend 59 beautiful years together making them the best team. 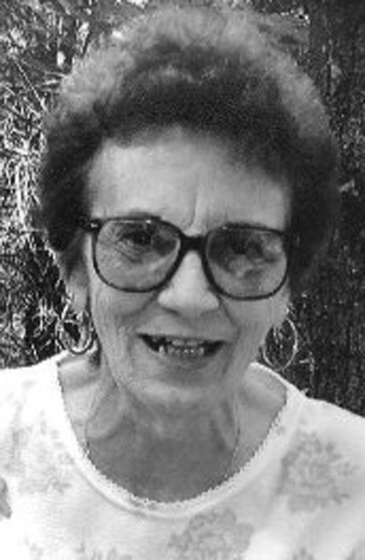 Throughout her younger years, she was employed as a receptionist for photographer Jerry Demott and also worked at the Kresge store in Marquette and the Hallmark store in Iron River. A homemaker, she was a tough, but gentle, woman ahead of her time in many ways. She enjoyed the challenge of a good debate and, through trial and error, learned the required skills for home restorations, especially in regard to the stripping and repairing of woodwork. She and Willard loved going to auctions and, over the years, she compiled quite a collection of dolls and became quite talented in doll restoration. She also had a passion for collecting jewelry. Her collections were enhanced by her many trips to St. Vincent’s where she was always on the lookout for a bargain. In leisure moments, Ediltrude loved to dance. Survivors include her three children, David (Robert Brunk) Damberg of Harvey, Karen (Jorge) Garcia of Long Prairie, MN, Terese (Bob) Weisenberger of Marquette; her two grandchildren, Jessica (John) Duncan of Alaska and Kirsten (Trever) Bohling of Washington; and four great-grandchildren. She was preceded in death by her parents; her husband, Willard in 2008; and her brother, Marvis “Bobo”. Friends may call at the Swanson-Lundquist Funeral Home in Marquette on Sunday, August 19, from 4:00 pm until 7:00 pm. A Mass of Christian Burial will be celebrated at St. Michael Catholic Church on Monday, August 20, at 11:00 am with Rev. Greg Heikkala, pastor, as celebrant. A reception will follow in the Parish Center. Interment will be made at Rest Haven Cemetery in Iron River. In lieu of flowers, memorials may be directed to the Alzheimer’s Association, 309 S. Front Street, Suite 233, Marquette, MI 49855. The family would like to express their appreciation for the many kindnesses and care given to their mother during the last months of her life. We are especially grateful to the Marquette Fire Department, EMT’s, and hospital staff for their professional and compassionate care following her fall, and to the staff at Norlite for their care and the many kindnesses extended to the family.